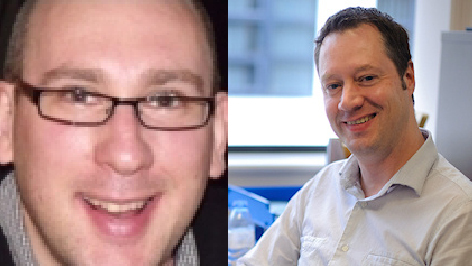 Ben Hawkins (London School of Hygiene and Tropical Medicine) and Chris Holden (University of York) discuss their article ”Water dripping on stone’? 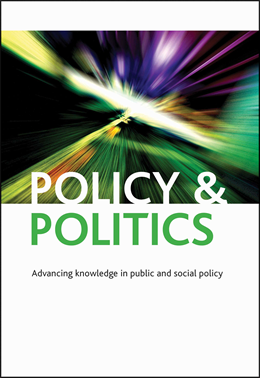 Industry lobbying and UK alcohol policy’, part of the new issue of Policy & Politics. Following the decision by the UK government in July 2013 to shelve plans for minimum unit pricing of alcohol (MUP), questions began to arise about the role and influence of David Cameron’s election strategist Lynton Crosby – who has worked for both the alcohol and tobacco industries – in the abandonment of a policy the government had committed to unequivocally in its 2012 alcohol strategy. The controversy surrounding Crosby was indicative of wider concerns amongst scholars and policy actors that the government had accorded too much influence to the alcohol industry. The previous New Labour government had also been widely criticised for its closeness to the alcohol industry. However, while Labour’s policy agenda was widely in line with industry preferences, the Coalition Government elevated the role of industry actors even further, institutionalising their involvement in the development and execution of policy through the Responsibility Deal Alcohol Network. In contrast the Scottish National Party administration in Scotland was elected – initially in 2007 as a minority government and subsequently with an outright majority in 2011 – with a clear commitment to introduce MUP. Developments in Scotland represent a shift in UK alcohol policy from an almost exclusive focus on industry favoured measures with a weak evidence base towards interventions such as MUP which the international research consensus suggests is amongst the most likely to reduce harms, but which the majority of the alcohol industry oppose. Despite initial attempts to introduce MUP being voted down by the opposition MSPs in 2010, the measure was eventually passed by the Scottish Parliament in May 2012. In the context of this highly contested and rapidly evolving policy debate, our article sought to examine the mechanisms through which alcohol industry actors engage in and attempt to influence policy debates. The alcohol industry consists not just of the producers and marketers of alcoholic beverages but the routes to market including pubs and nightclubs in the on-trade and off-licences, convenience stores and larger supermarket chains in the off-trade. We found that industry actors are involved at all stages of the policy process from agenda setting, through policy formulation and legislation, to implementation and evaluation. They seek to engage with a range of policy makers including MPs, MSPs, Ministers, civil servants and members of the public health and NGO community. Even members of the opposition are targeted, especially where a change of administration seems likely and there is potential to shape a future government’s policies from the outset. Their modus operandi is to seek to establish long term relationships with key policy actors through a range of forums and channels including official policy consultations, party conferences, and All Party Parliamentary Groups on industry-related issues. Contacts are thus both formal and informal and initiated by individual corporations as well as their trade associations and social aspects organisations (e.g. The Portman Group). Many industry actors have extensive personal connections in government or employ outside consultancies and agencies who can provide these. Whilst smaller companies rely more heavily on trade associations and collective representation, larger companies may seek to represent their own interests where these are seen to deviate from the industry or sector more generally or where there is a perceived advantage from adopting a different approach (e.g. to be seen as a leader on a specific issue). All agreed though that the ability to present governments with a united front is a big advantage in pursuing a particular policy outcome. Long term relationship building with policy makers has the effect not just of creating sustained alliances which can be used to pursue favourable regulation. More fundamentally, it creates the impression that industry actors are stakeholders in the policy making process; key partners who are part of the solution to alcohol related harms and who should have a place at the policy making table as a matter of course. The economic power of industry actors, their ability to provide local and national politicians with good news stories such as the opening of a new supermarket or photo opportunities at a local distillery, guarantees them additional access to politicians. Positioning themselves as partners in this way is a key objective for industry actors and a key difference with tobacco companies, which are widely excluded from such forums. It affords them great power to shape, inform and delay policy decisions and creates the norm that industry positions should be heard and where possible accommodated. Whilst the position of industry actors in the policy making process is widely criticised by the public health community, it is widely accepted by many officials and politicians. Indeed policy makers explained how welcome industry input can be where they are able to provide resources (both financial and informational), or meet policy objectives through self-regulatory regimes which obviate the need for costly, time consuming legislation and enforcement mechanisms. The ability to provide these ‘policy goods’ to ministers ensures their voices is heard in any policy deliberations. Where long-term relationships are unable to secure the desired outcomes, however, industry actors are fully prepared to employ short-term issue specific tactics. These include the initiation of legal proceedings, which are now holding up the implementation of minimum pricing in Scotland. ”Water dripping on stone’? Industry lobbying and UK alcohol policy’ is part of the Policy & Politics January 14 issue (volume 42, number 1) and is available on Ingenta.